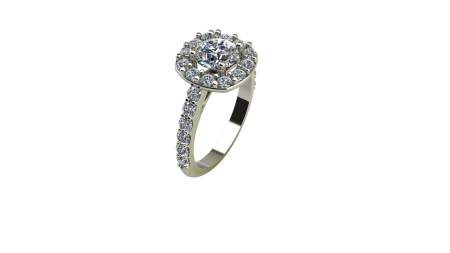 Very Popular Halo Diamond Ring. This Design has Proved to be a Winner. All the Sparkle of a Princess Ring with a Simple and Classy Style that Lasts Through the Years.